One bird can feed 2 people for three days with a little creativity. Try these chicken recipes – they’re all easy, healthy, yummy, and frugal – it’s the total chicken package! A little rosemary on top makes for a beautiful and tasty presentation. Rinse the chicken inside and out and pat it dry. Rub the skin with butter or olive oil. Dust with salt & pepper. You can also try thyme, sage, and of course rosemary. Roast for 20 min/lb. Some chicken recipes call for basting every 20 minutes after 40, but I don’t bother and it comes out fine. Seriously – that’s it! If you can wiggle the drumstick easily, it’s cooked! You can also use a meat thermometer – the inside should be 165 degrees F.
For some variation, slide orange slices, lemon slices, or garlic cloves under the skin. You can also cut up apples and put them inside the bird. Serve with some veggies (of course). After dinner, remove all remaining meat from the bones. Stick it in the fridge for Day 2. Throw the bones, vinegar, and some veggies into a crockpot to start a broth (instructions here) for Day 3. This batch contained lots of smoked almonds. Delicious! 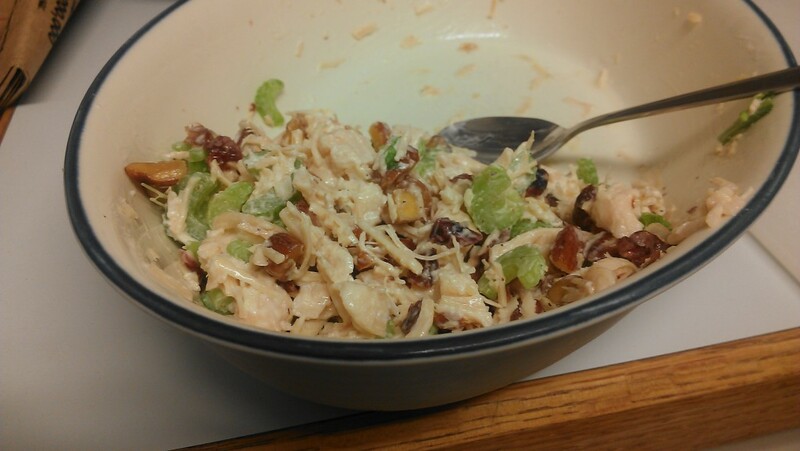 Serve the chicken salad as a sandwich, or over a green salad. You can also use tortillas or butter lettuce as a wrap. Has your broth been cooking for more than 24 hrs? If so, use a slotted spoon to remove the solids (bones and veggies – these are nutritionally tapped out at this point), and pour the remaining liquid into a medium soup pot, which goes in the fridge for Day 3. 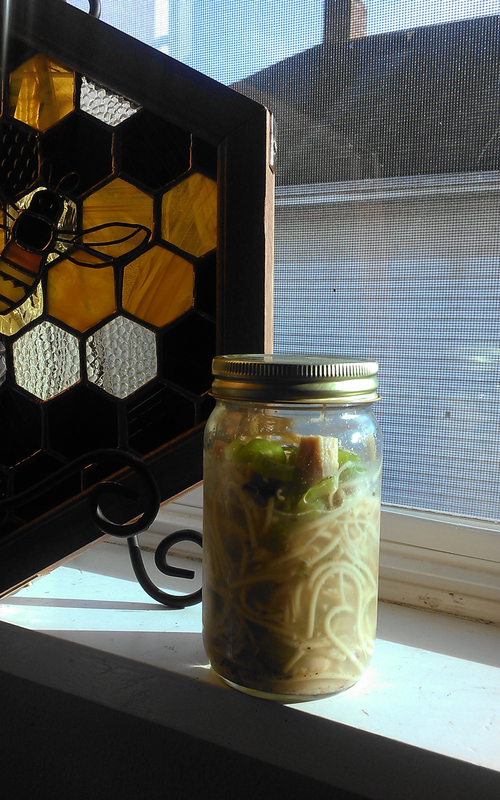 This brew of homemade chicken noodle soup contained chunks of chicken meat, celery, some leftover bacon, and pepper. Re-using an almond butter jar makes getting to work spill-free! Remove the congealed fat (white disk on top) from the broth. Put the broth on the stove, and add veggies, pasta or quinoa, and spices. This can be super-hearty with kale and sweet potatoes, or light nourishment for someone fighting a cold. Have fun experimenting! If you don’t want chicken a third day in your week, the broth will freeze beautifully. Just chill it in the fridge and remove the fat layer from the chicken jello before transferring it to the freezer. 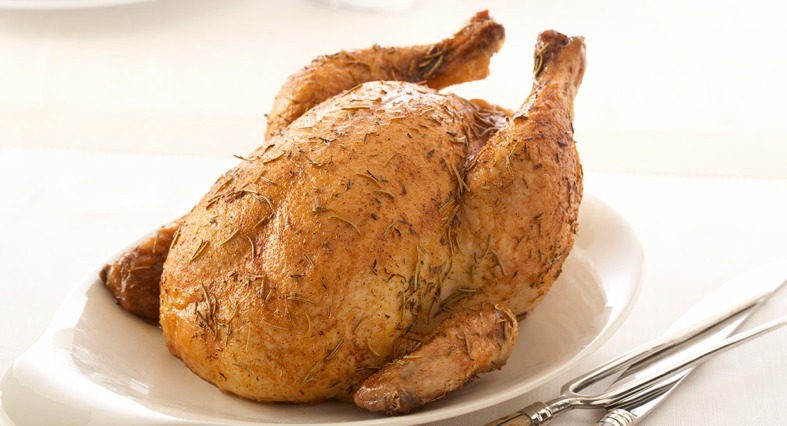 Got any favorite chicken recipes of your own? Please share! Posture does more than make you look good: It’s important for your health! Being bent over creates tremendous stress on our muscles, squishes our organs, and blocks blood flow. I also affects our mood and digestion. Besides pleasing Grandma, there are a lot of terrific reasons to pay attention to posture. We all sit too much. And that tends to lead to slumping. At work, at home, in the car… it’s actually gotten worse as technology has gotten better. We’re not even staring at computer screens over a desk anymore – we’re looking down at laptops and phones, and as a result, our collective necks are becoming permanently bent! There’s a funny sort of cascade that happens when you are out of whack. 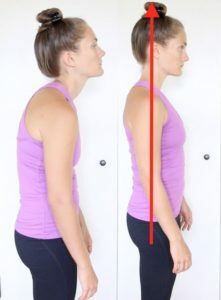 A forward head posture, for example, is very common. In that position, the muscles that flex the neck forward are underworked. The muscles on the back of the neck are overstretched and cranky. The hips tend to shift to compensate, and you get a similar pattern at the pelvis. Note that her chin is not pointing up – lift the top of your head, not your face. Of course in about 5 minutes you may find yourself back in the familiar slouch. Pull up on that string again! It takes practice, but like any habit, it gets easier the more you do it, and eventually it’ll be automatic. Yes, your postural muscles will be weak at first, but they’ll get stronger. Stick with it! 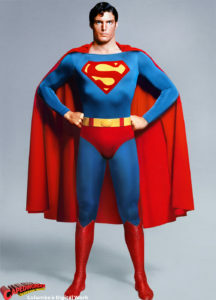 Superman has excellent, confident posture! 1) Create confidence and elevate your mood. The link between mind and body goes both ways… you can literally lift your spirits by lifting your head! Did you know your self-talk is linked with your posture? You know how faking a smile can actually make you feel better? It’s the same thing with your entire body. Career coaches recommend taking on the “Superman pose” (ideally in an empty elevator or bathroom) before an interview, to go in feeling confident. 2) Reduce pain in the neck and shoulders. 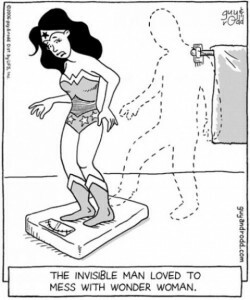 Your trapezious muscles get pulled tight when you slump forward, which causes all sorts of inappropriate tension. And as you can see, keeping your head aligned is the best way to distribute the weight of your skull. 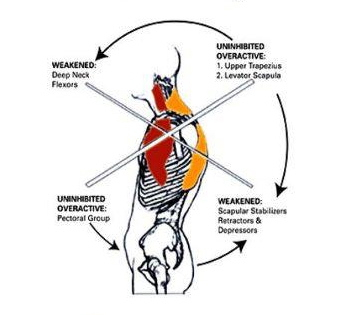 A forward neck posture creates leverage that works against your body. This graphic below shows the pounds of pressure at various positions. Good posture helps avoid muscle strain. 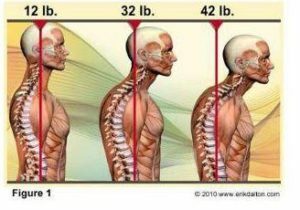 3) The individual bones of your spine – both neck and back – will be able to move more freely. This means less chance of spinal injuries or pinched nerves, and can prevent fusion between bones as you age. 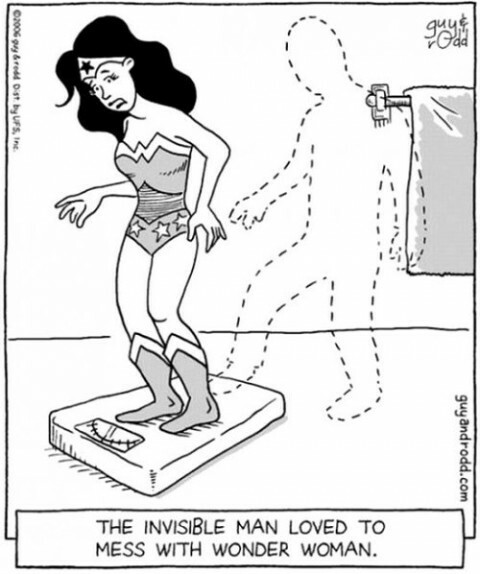 4) You’ll look slimmer! Most of those “before and after” weight loss poses can be achieved with nothing more than good posture and different lighting. 5) Increase the flow of blood and cerebrospinal fluid. If you’re a collapsed beanbag, various pathways can be cut off, preventing your body from working as it should. 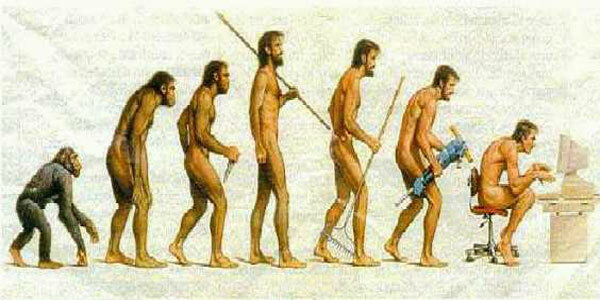 Even cortisol (stress hormone) levels decrease with better posture! 6) Give your digestive organs room to move. Remember, they have to push food around, from the stomach on down, to mix it with the different stages of digestive enzymes and extract nutrients and water. 7) Make a better impression on the people you meet. 8) Look up and see the beautiful world around you! The sidewalk isn’t nearly as attractive as the people, architecture, and nature around you. Good posture is a HABIT that you need to build. Put up visual flags (sticky notes, or draw an arrow on your hand) to remind yourself to relax your shoulders and lift your head. Just keep doing it, and eventually it will become your new default! The Spleen* likes to be warm and dry. With our wet weather here, lots of Portland people have Damp issues. 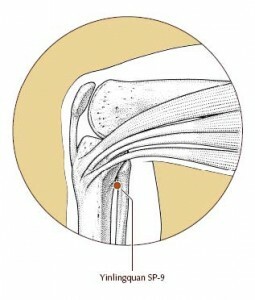 Sp-9 (Yin Ling Quan) will drain damp, usually through urination. It can be used to treat bladder & urinary tract infections, chronic yeast infections, hepatitis, jaundice, and leg edema. It’s also a good long term treatment point for diabetes. Sp-9 lies in the depression posterior and inferior to the medial condyle of the tibia. The easiest way to find it is to run your thumb up the edge of the bone on the inside of your lower leg until it falls into a hole. It will drain damp, usually through urination. It can be used to treat bladder & urinary tract infections, chronic yeast infections, hepatitis, jaundice, and leg edema. If this Sp-9 is active (meaning, it needs some attention! ), it’ll be quite sore. Press gently for 10-20 seconds, with healing intention. * Remember that in Chinese medicine, the Spleen is an energetic concept and should not be confused with your anatomical organ, the spleen.